Add a touch of personal style and functional flair to your home with this modern fob-style wall clock. The classic Roman numerals are held within concentric circles of metal and the dial offers simple line markers and a set of black teardrop hands. 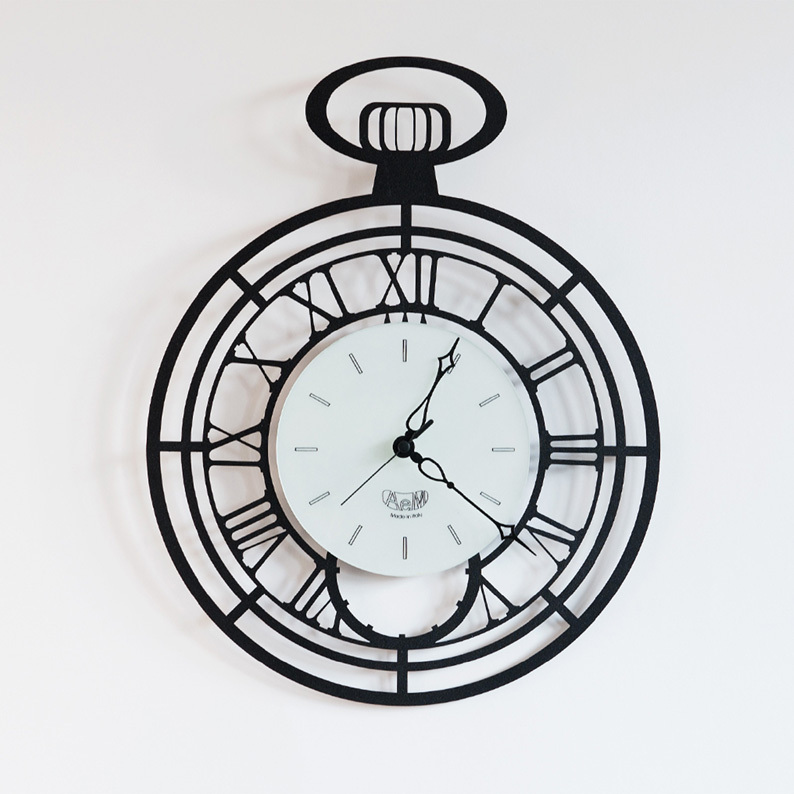 Old and modern blend into a perfect wall art piece that adds a new dimension to time telling! Hang in a study, entrance hall, dining area or living room. 35cm wide and 44cm high.